Alina Ray has always lived a quiet life. When she starts having problems with a group of creepy supernaturals, she turns to her witch friend, Shane, for help. She never imagined his solution would be to push her into the arms of the city’s most powerful vampire. 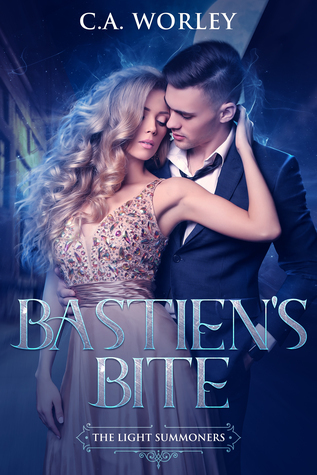 Will Alina resist what’s offered, or will she fall prey to Bastien’s bite? Bastien James has been living the high life. He has money, power, and a different female on his arm every night. When he meets Alina, he realizes his life has had no real purpose. Keeping her safe seems to be his new reason for living. Bastien plans to help Alina navigate her new reality—for the rest of their immortal lives.